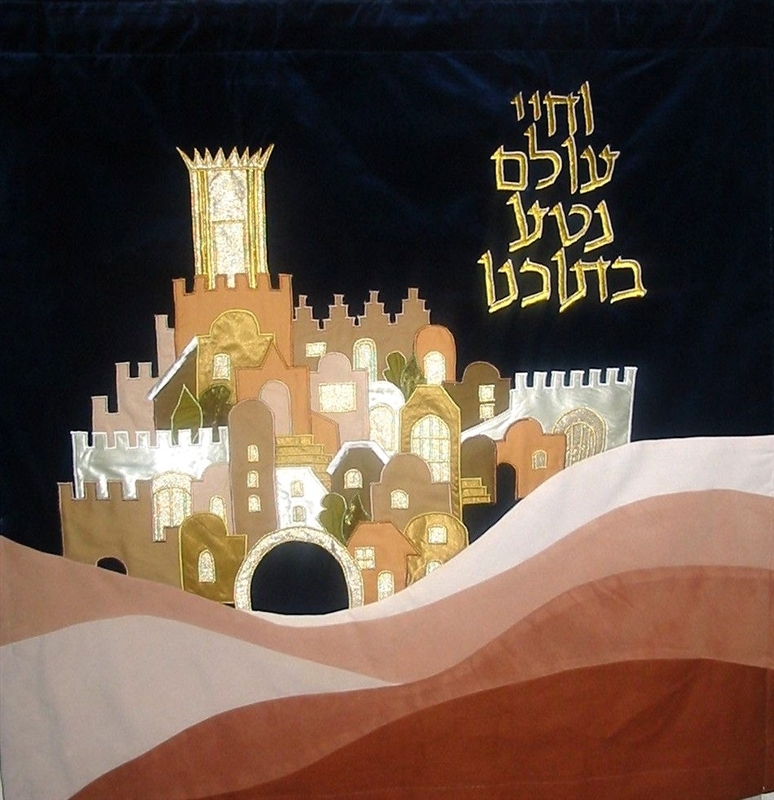 Ark curtain made by a well known Israeli artist, customized to your specifications. You choose the size, the color combination, etc. Usually takes 4-6 weeks to complete. 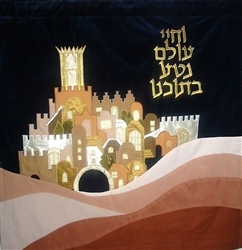 This design is commonly used on the High HOlidays.